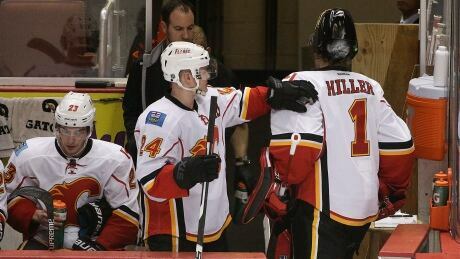 The Calgary Flames played the Anaheim Ducks in Game 1 of their Round 2 series. 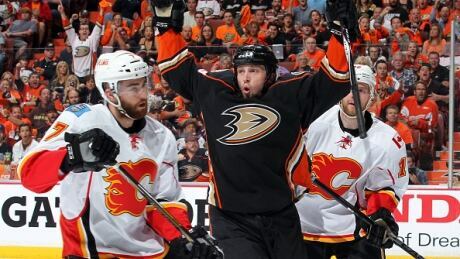 The Ducks came on strong and overpowered the Flames. However, the C of Red was still on fire, even if the Flames weren't. The Round 2 matchup between the Ducks and Flames wasn't even close, while the Capitals stole one from the Rangers at Madison Square Garden. Here are four stories from Thursday night's NHL playoffs. 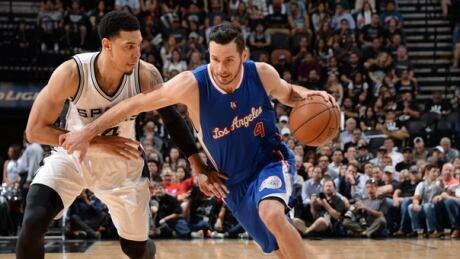 Blake Griffin had 26 points and 12 rebounds and Chris Paul had 19 points and 15 assists as the Los Angeles Clippers held on for a 102-96 victory over the San Antonio Spurs on Thursday night, forcing a Game 7 in their first-round series. 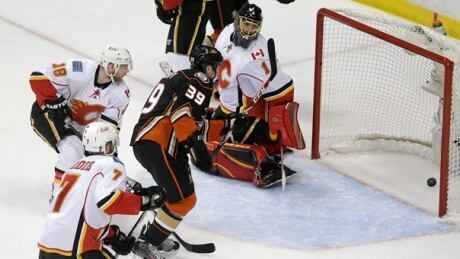 Corey Perry had two goals and two assists and Ryan Getzlaf scored once and set up three more as the Anaheim Ducks downed the Calgary Flames 6-1 on Thursday to take Game 1 of their second-round playoff series. Jameis Winston often smiled amid off-the-field problems at Florida State. Now that he's in the NFL, he's clearly still smiling and willing to make fun of himself. The Heisman Trophy winner and new No. 1 overall NFL pick joked about one of his problems just after he was selected by the Tampa Bay Buccaneers Thursday night. Winston, who was cited for stealing crab legs from a grocery store in April 2014, posted an Instagram photo of him celebrating on draft night with a tray of crab legs. Ron Rivera said the Carolina Panthers wanted to get more creative on defense. The fifth-year coach believes Shaq Thompson gives them that ability. The Panthers selected the versatile outside linebacker from Washington with the No. 25 overall pick in the NFL draft, bolstering a defense that has finished in the top 10 in the league in each of the last three seasons under coordinator Sean McDermott. General manager Dave Gettleman called Thompson a ''top shelf kid'' with all of the qualities the Panthers were looking for heading into the draft including speed and playmaking ability. You are currently browsing the Sportspool.com Sports News blog archives for April, 2015.